At the start of the month, staff go grocery shopping and stock the pantry with staple goods. Three weeks into August, when this interview was recorded, the shelves were mostly bare. “A lot of people are using their food money to pay utilities and rent and cost of living expenses. We are seeing a spike in our [pantry use] numbers,” Twitchell said. Food insecurity in Sitka has deepened and also broadened. Jean Swanson, an outreach family caseworker, said she’s seen tribal citizens come into her office seeking help that never did before. “We were seeing families that usually are self-sufficient coming in. We were seeing them for the first time,” Swanson said. As a result, what used to last a month at STA’s pantry now lasts a week and half. Why? The closure was the result of attrition. It made financial sense to the state in an era of budget cuts. 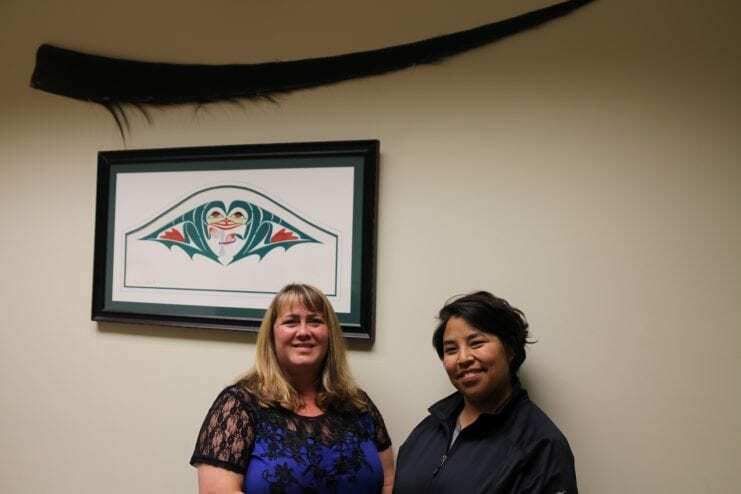 The Juneau office took over Sitka’s case load and did what it could to keep up with demand, but eventually, the backlog grew and grew…and grew. Individuals were unable to renew their food stamps, formally known as SNAP benefits (Supplemental Nutrition Assistance Program). Without them, more Sitkans were going hungry. Approximately 10% of Sitka’s population uses food stamps. Susan Briles SEARHC and others began to submit complaints to the state ombudsman, as did other communities in Alaska experiencing their own delays. Twitchell and Briles even brought the issue before Sitka’s Health and Human Services commission. I visited the office, housed in the same building as Sitka’s trial court. Applications are still processed elsewhere – this time in Ketchikan – but the two local positions have been re-hired. 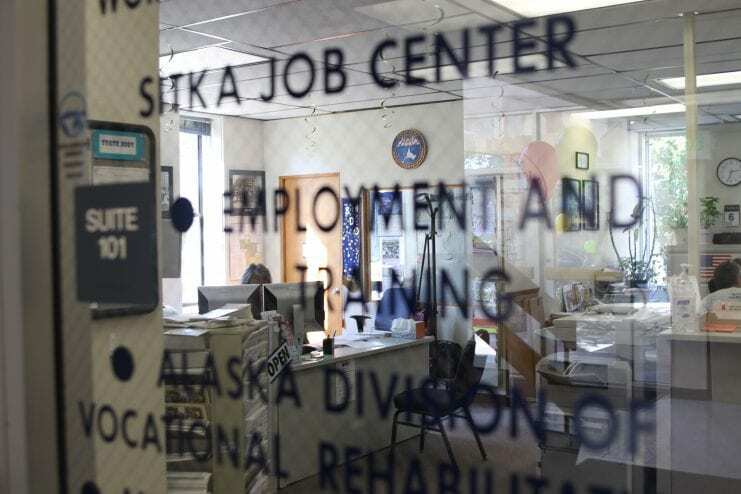 Southeast Regional Manager Victoria O’Brien says it will take awhile to train the new staff and get caught up on Sitka’s case backlog. “As of right now, we’re doing what we can with what we have and working as much as we can, encouraging our staff to work as quickly as possible as accurately as possible and to get as much done as they can in a day,” O’Brien said. Twitchell is relieved. “It’s not such a bottleneck now, but it definitely hit Sitka hard. It hit families hard. It hit elders especially hard,” she said. STA wasn’t the only pantry cleaned out. Sitkans Against Family Violence has seen their stock dwindle. Salvation Army is feeling the pressure too. They are the biggest pantry in Sitka, cycling through 10,000 lbs. of food a month. 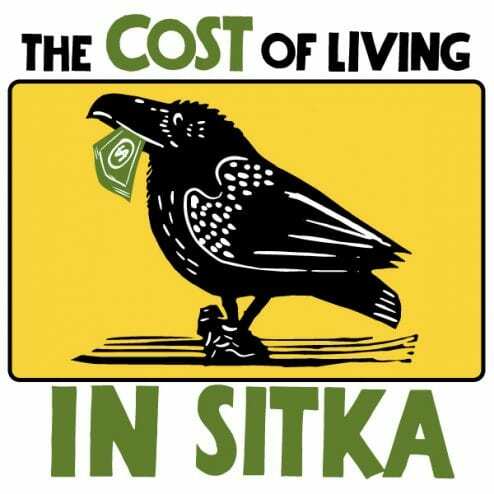 About three quarters of local donations come from Sitka’s groceries stores. The rest is supplied through the U.S. Commodity Supplemental Food Program. But, it’s not enough to meet the need in Sitka. 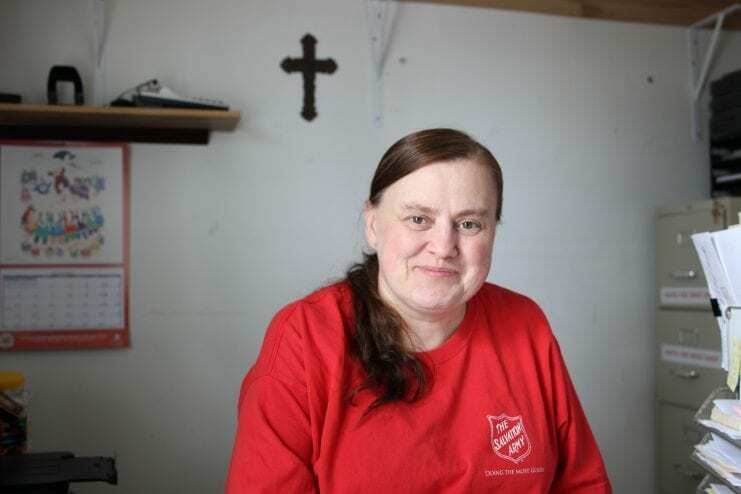 KCAW: Is it hard for those families to come to Salvation Army for the first time? Morrow: Oh, absolutely. We have a lot of people that come in tears because they are embarrassed or ashamed. As a person that grew up with a single mom that relied upon food boxes, I know that embarrassment and shame is there. But we try to make it so that it’s not embarrassing or shameful. Vicki O’Brien serves on the CoastAlaska board. The Salvation Army kitchen offers free lunch Monday through Friday at 11:30 a.m. Doors open at 10:30 a.m. 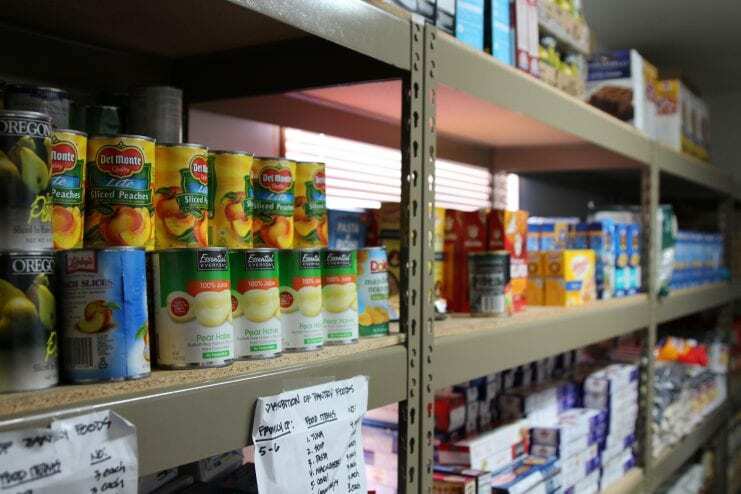 The food pantry is open Tuesday through Friday from 10:30 a.m. to 2 p.m. To round out our week of food reporting on “The Cost of Living in Sitka,” our next story is about the rocky road of food prices and the case of the missing eggs.